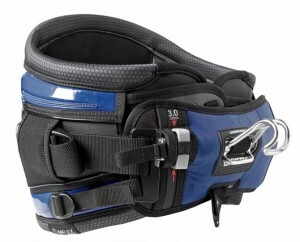 Kitesurfing Harness - Waist or Seat - What to Choose?  When selecting a harness one of the most frequently asked questions is whether you should get a waist or a seat harness. There are some quite big differences between the 2 that we will explain, however the right harness for you should be the most comfortable and best fitting, this is why it is always recommended to try on as many as possible. 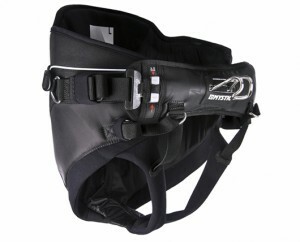 A seat harness tends to be a great harness for most beginners, and it is probably the type of harness you would have worn during your kiteboarding lessons. Very similar to a rock climbing harness just more padded, a seat harness has straps around the legs and a large velcro waistband to make sure it is held correctly on your body. A few companies produce board shorts with a seat harness built in, the benefit of these is that they are less bulky, however they do not tend to have the same lifespan as the seat harness you see above. Waist harnesses have come along way in the past few years, allowing them to be more comfortable and offer a lot more support to the lower back than they used to. A waist harness sits slightly higher on your body than a seat: you attach them with one velcro strap across your waist then tighten the spreader bar for a snug fit. Manoeuvrability: a waist harness will slide around your body changing the toe point for when riding blind ore toe side. Protection: the waist harness is aimed at higher end riders and does help with lower rib protection when taking hard crashes. Easy to put on: as there is only usually one strap to do up it is very easy to get in and out of a waist harness. Harness can ride up: if you are keeping the kite high in the sky or the harness is not correctly fitted you may find it rides up and becomes extremely uncomfortable. Back aches: if you have any problems with your lower back a waist harness may not be right for you, however with newer ridged back technology coming in on many harnesses back pain may not be so much of an issue. When choosing a harness the correct harness is the best fitting one. Be aware there are female specific harnesses on the market that tend to be smaller on the mid section and have a different cut around the hips. We would always recommend where possible going in to a shop and trying on as many all the harness you can. If you wear a wetsuit the majority of the time it may be worth brining a thin jumper when trying on harnesses to give you the effect of having a wetsuit on. 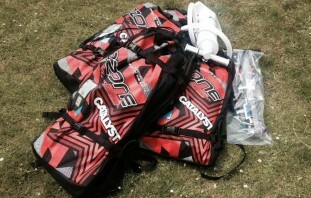 Most kiters will eventually purchase a waist harness due to the freedom of movement they can give you. 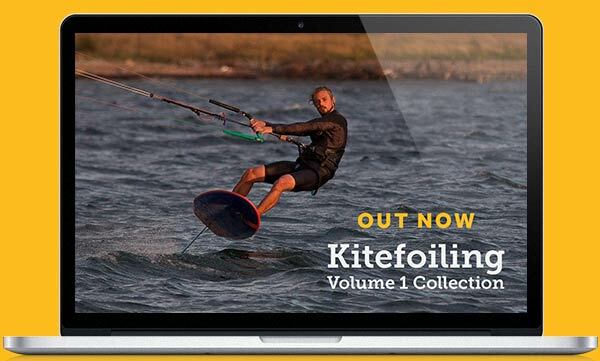 However just because they may look nicer there is no need to rush in to buying one as a beginner, this is due to the possibility of it riding up in to your ribs distracting you from your main focus of learning to kitesurf.